No..........what am I exactly thinking! I can't just believe her that easily! Who the hell knows whether she would exactly be kidding around or not! The midnight bell rang just earlier, and by right, she should have already heard it. That also means that it's the 2nd of April as of right now, with April Fool already being over............yet she said that it's an April Fool's joke? It's probably only me overthinking about it already............but there's the possibility, that this manner of dissuasion was to merely let me lax down my guard. Wasn't there that sort of saying? That when people get anxious or terrified, their bodies would secrete out adrenaline, causing meat to turn sour and become nasty when consumed. Hence, she would be saying some nice-sounding words in order to soothe my feelings, right? I mustn't drop my guard no matter what, as there aren't any chances for repeating living once again. Right now, I don't have any such luxury, hence onto every detail, I must be pondering it through carefully. No, I'm not so unreasonably hoping to be perfectly unscathed already, it'll do as long as it's not missing an arm or a leg. I already had the mentality onto losing away a few fingers. Although my inner self had already regained its composure, I still displayed out a look of worry as I reconfirmed it for the third time towards her. "You really won't be eating me? It's impossible for me to believe you just by basing on your words, and you also didn't make any substantial guarantees either, so how can I trust that you really won't be eating me?" With a 'pu chi', Xiang Yue Xun laughed, clutching onto her stomach as she thumped her legs about. After laughing for quite a while, her face unveiled out an amused expression as she made fun of me. "Pu, ahahahahahahahahaha~ youuu~ you're really such a timid person, don't tell me that I'll still need to write a letter of guarantee titled as 《Xiang Yue Xun absolutely won't eat An Jun Cheng》?" "That's for the best then." If it's possible, it'll be great if it was to append your signature within, with a fingerprint planted afterwards. Perhaps she didn't expect me to actually reply her casually spoken out words with such a serious expression, as Xiang Yue Xun looked at me with a rather strange face and blinked quite a couple of times, and in the end only bitterly laughed, giving off a sigh while saying. "Even if you say so, right now I also don't have any pen or paper desu............and also, even if I was to write a letter of guarantee for you, would you believe me?" Xiang Yue Xun squinted her eyes, the corner of her lips unfolding out a meaningful smile, with the 'desu' word addiction carried behind her sentences disappearing, and displayed out a look of cunning wiliness. "Even if I was to write a letter of guarantee for you, you definitely would then say 'It's merely a piece of paper, being able to be torn up anytime, so there's basically no effective usage at all.' such type of words, right. And seeing how this develops, probably only I tying myself up would then guarantee onto your safety, heeh............hehee, you're thinking of getting the dominancy into your hands, tricking me into a word trap, huh? You're quite the intelligent person, heeh." As expected, it couldn't be that simple onto deceiving her. Seeing her personality being so cheery, I still thought that it's that kind of empty brained type (idiot) too, but in the end was unexpectedly abundantly wise, huh? The aged experienced feeling being shown often at times just now wasn't a misconception, it looks like she indeed had been living for quite a long period of time already. Although she looked like a small student who was about to graduate into middle school, who knows that in reality that her age might even be older than my grandpa who had already passed away. Once age had exceeded a certain numbering, and experiencing countless things thereafter, one then be able to compile those gathered knowledge into wisdom. The Xiang Yue Xun right now gave off that sort of feeling. "Fufu, if it's me who had just came to the surface world, I'll probably be completely played about by you. But I've already been living in this world for over 500 hundred years, hm? Towards the cunning of you humans, I had already firmly remembered it from all sort of ways............"
Xiang Yue Xun slowly opened up her squinted eyes, with that pair of red pupils becoming even more freshly red. It even turned into a risen-up state, just as sharp as like a new moon that was hanging in the night sky. And afterwards, I who was being gazed at by such eyes, my body became paralyzed once again! It was being even more paralyzed than previously earlier, as it's simply like being separated out from this field of space, with my body being completely unable to budge. Even the mentality to retaliate also couldn't be developed. What closely followed next was everything in my sight becoming darkened. That clocktower in the middle of the park, I couldn't hear the 'ka da ka da' sounds from the moving second hand already. Even though I was near the pool of blood, I became unable to smell the blood stenches instead, and I couldn't feel Xiang Yue Xun who was lying onto my legs, just like as if she had suddenly vanished already. No...........it's not that she had vanished already, but it's my five senses currently being stolen away! "Now do you understand already? Not only I can eat away your body...........but can eat away your 'senses' as well...........playing with you about............in-between my palms............"
The voice was distant, very distant, I hearing it till the end until it became too soft to be heard, in the end turning into being not able to hear anything at all. My sense of sight were also fading, what those residual vision lastly saw was............that greyish red-colored status! Afterwards, I became nothing already. Perhaps, speaking from physical appearance wise, my body was still around, but to me, losing the connection with my body was the same as having my body vanishing already. Unable to hear, unable to see, unable to feel, unable to smell, unable to taste. My body which had lost all five senses didn't continue to give off proof that my soul was still existing. There wasn't any more 'according to my feelings' evidence that could prove that I was still living in this world, still living amongst human society. Unable to feel anything at all. Am I really still living? Am I still existing or not? Sinking into a spiral of perplexion and puzzlement. Would I just vanish just like that? I who had just realized about that point, suddenly developed an incomparably enormous fear. Within the neverending darkness, it's like as if time had even stopped already. That voice was seemingly like divine sounds of heaven. It broke layers and layers of darkness, dragging me back into reality. I who had regained back my five senses was like having made contact with electricity, as my entire body shook about. Afterwards, I immediately used my left hand to clutch onto my face, gaping my eyes widely while panting with huge breaths, voraciously gulping mouthfuls of saliva then continued to forcefully breathe in air, with my right hand forcibly pressing onto my heart to feel my heartbeat. I'm still living, still existing, hadn't vanished yet. Just this point alone made me wildly exhilarated. Upon seeing me regaining back myself, Xiang Yue Xun didn't unfold out an aloof manner, wasn't angry as well, only carrying a lonely tone and spoke out a plea towards me. "So, please don't deceive me anymore okay? The things that I hate most is 'deceiving' desu...........I'm willing to believe a human like you, so can you please also believe in me? Your name shouldn't have been given for naught, right?" That's right! It's a plea! Not a command, and even more not a negotiation, but a plea! My name is An Jun Cheng, and of course it wasn't given to me for naught!! That was a name that grandpa gave it to me, it's a name that was worthy of being respected! After I've comprehended it, I unfalteringly nodded my head, agreeing to her. Since she was willing to believe me, I naturally wouldn't disappoint onto her trust as well. "I understand, and I believe you. From now on, I won't be saying not even a single lie towards you already." Xiang Yue Xun unveiled out a heartwarming smile, with the status on top of her head shedding its skin to turn bluish. She once again regained back her cherry manner, lifting up her upper body and sat onto my thighs, leaning within my embrace and relaxedly said. "Plus, I'm also in 'that class' desu, that's way enough to say that I'm belonging to the peaceful side already~." As expected, our 222 class was special, huh? "Is there anything strange about our class?" "Huh? It can't be that you didn't know? Although it isn't implied out, but I still thought that it's a matter that everyone knew within their hearts. Between unacquainted people there also wouldn't be that overly much of contact too; everyone in the class had a secret that belonged to themselves desu, it's just merely that they won't step into each other's issues." Previously I had already made a deduction, that perhaps it's the school who had intentionally gathered a group of abnormal people into a class, and according to Xiang Yue Xun's words right now, looks like it's indeed as such already. The principal...........also being Li Li's mother, right; being able to do such arrangements yet won't be questioned by others, it could only be her already. Probably everything would be able to be discerned out by that time then. "I'm considered to be rather standing out in class already desu, it should be said that there's already quite a number of people who had noticed me to be a ghoul." "How? Are ghouls easy to be identified?" "It's not really like thaat, it's just that I often need to eat these corpses due to my work, and my body had been contaminated with quite some corpses smells desu............those people with sensitive sense of smell should have already long noticed it desu." I remembered that Lian Bing's sense of smell was also quite sensitive too, had she already long ago noticed that Xiang Yue Xun was actually a ghoul then? No, probably she had already knew about the true forms of the entire class since way back...........since she had Xue Li-xiaojie helping her to gather intel, she'll definitely have grasped onto many matters since the start already. If I was to ask her, would she tell me about it? "Right now you also knew about my secret already, plus it's also a mutual trusting relationship, so we're considered to be friends already desu. Well then, how should I be addressing you? Same as Li Nai, calling you little transparent-kun? It doesn't seem to be that fitting...........mn..........."
Xiang Yue Xun crossed her arms as she thought for a moment and suggested to me. "Jun Cheng Jun............calling you like that would be rather strange desu, how about I directly call you Cheng Jun?" I clutched my forehead with my head full of vertical lines. I'm not sure why that when she mentioned about the issue of addressing, I already had the feeling that it'll in the end become like this. "Why must it be Cheng Jun...........can't it be An Jun instead?" "Hehee, you seee, addressing by surnames would seem to be rather strangerish tooo~ we're friends that had already intimately been acquainted already, huuh?" It indeed had been intimately acquainted already...........intimate till even my five senses had been taken away (flips white eye). "Cheng Jun~ Cheng Jun~ Cheng Jun~"
Just like that, Xiang Yue Xun repeatedly called out my name, unveiling out a look of delightfulness. Afterwards she suddenly seemingly remembered about something and asked me. "Oh right, Cheng Jun, are you somehow injured? Your body's movements is a little strange desu. Your wound should be at your lower abdominal area, right. To be precise, at the two-finger wide spacing area under your belly button, there's a half-foot long wound." "Eh? How did you know!" Plus she even knew the exact placement of the wound, along with its size! "Must you be that surprised? I am a ghoul desu, towards the human body's anatomy, I fully understood it like the palm of my hand. When you're being hugged by me, your abdominal muscles kept twitching desu, looking isn't even necessary to be able to tell out that you have been injured. There's a broken layer in your muscles, it should be maimed by a sharp object, right. There's some scratches at other places too desu...........also having a few corpse's smells stuck onto it, was it being lacerated by deceased deads already? No wonder when you saw me eating people, there's not too much of a shocked expression being revealed out, so you had became accustomed to the unusual** already." The f***, it's too impressive already! You can entirely go become a famous detective, and you might as well just change your name to be Edogawa Xun already. "Heehee~ since there's a ready made wound, then I'll just have a sampling of its taste then~"
Xiang Yue Xun suddenly slyly laughed twice, slid down from my thighs and turned around with her hands stretched towards me, wanting to flip up my clothes. "Oi oi! Didn't you say already that you won't be eating me!" "I'll just have a taste of it onlyyy~ only a bite desu............"
"Then only sucking on it a little............no, let me lick for a little whileee, pleaaasee? Pleaaaaseeeee?" Who the hell would believe you!! Your words sound exactly like the same as Ke Ling who went into the kitchen to secretly eat up entirely all those dishes that I've just made!! I hastily pressed onto her shoulders, wanting to push her away, but she stubbornly wanted to take off my pants...........oioi! Don't strip off my pants!! What do you mean exactly by wanting to strip off my pants!! In the end, when I wanted to grab onto my pants, Xiang Yue Xun suddenly changed her target to once again assaulting my torso, wanting to strip off my upper shirt in a single breath. Damn it, I've been tricked! It's a feinting diversion! "Heh heh heh, Cheng Jun, tonight you're mine alreadyy~ Sii..........."
Xiang Yu Xun sucked in mouthfuls of saliva, unveiling out obscene smiles as she stripped off my clothes while I was desperately retaliating. I won't be submissive towards you at all! Wait wait, wasn't this current situation a little not right? Weren't our roles reversed already? How did it turn into a loli assaulting me already? If it was said that I'm a character who was being assaulted currently, then at this timing, there should be a 'hero' valiantly appearing to rescue me, right? This thought just flashed within my mind, when I heard a voice ringing out, with an icy cold atmosphere spreading outwards the surroundings. I and Xiang Yue Xun quietened down at the same instance, as we placed our sights towards the source of that voice. That voice was chilling to the core. She stood over there, with her hand wielding blades that were fully stained with blood, and on the blade, there's still unsolidified blood droplets 'di di da da' dripping onto the floor. Her face was splashed with blood, yet it wasn't wiped off. It's just like a piece of art work as it embellished her exquisite facial looks. Still expressionless, yet the feeling that the person gave was being completely different. Just like an unsheathed blade, carrying an incomparably piercing atmosphere. That person had seemingly just only walked out from a shuraba, with the entirety brimming full of killing aura. The status emanated out a bloodied-red colored glow; it's a redness that didn't contain any sort of impurities within. Carrying complete unadulterated killing intentions. Jiang Xue Qing, arrived on scene. 'Brain in the vat' philosophy = It's a conjecture that one's brain may be inside a bowl of water, being connected to images of it doing something, enabling it to feel like as if it was doing that something, to perceive it doing that something even, when in factual reality it's just merely in a bowl of water. Sounds far fetched? It's a skeptical argumentative stance on philosophy. To be able to understand this logic, a person must be wielding a certain level of skepticism in order to get the underlying essence it's trying to convey. In surmise, it's basically a paradox that couldn't be proved true or false, just an unproven theory. To quote the Garo: "Belief or disbelief rests with you." Divine sounds of heaven (天籁之音) = Uuu, it originally should be meaning 'divine sounds of nature', but it doesn't.........make that much sense in EN, as I only heard of the phrase 'divine heavenly sounds' instead, to describe how beloved and wonderful something sounds. Your name shouldn't have been given for nothing, right? = Interesting point to say, now that it's been mentioned. For the Chinese, their names usually have meanings behind them. Example, for my name, 伟康, which means 'greatness' and 'healthiness' combined, wishing my life to achieve great things while always staying healthy. An Jun Cheng 'naming' = "If you, a gentleman treat me sincerely, I, equally won't treat you naught as well". referred back from chapter 1. Deceased dead = a type of zombie, it primarily being animated from being in a state of 'dead' in a magical stance rather than scientific methods. Became accustomed to the unusual (见怪不怪) = The author made a pun here, but it didn't and couldn't be inserted in the english form so I'll just mention it here. As you can see, the chinese word for that sentence was 见怪不怪, which literally translates into: "Seeing bizarreness, not bizarred already." As you can tell, 怪 here will refers to strange/bizarre meanings. The first one, 怪物, meant 'monster'; while the second, 奇怪, meant 'strangeness'. Both connecting puns basing on the word 怪. Hoped this didn't get lengthy, it's the only way to explain it! Thanks for the chapter! Seems like you gotta tl a shitton of words after this. Good luck! 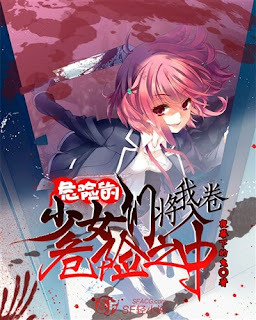 Xue Qing is the slasher? Damn too op. Just stick with the meimei. I prepared myself from time i read the title. Stalker's name is Lan Hua, not her. I really don't like this ghoul. 500 years or 50000 years?